We received a complimentary Pop Girl Box. No other compensation was exchanged. My opinions are my own. Natalie is always thrilled when she discovers a monthly subscription box that she loves. Pop Girl Box is just that. 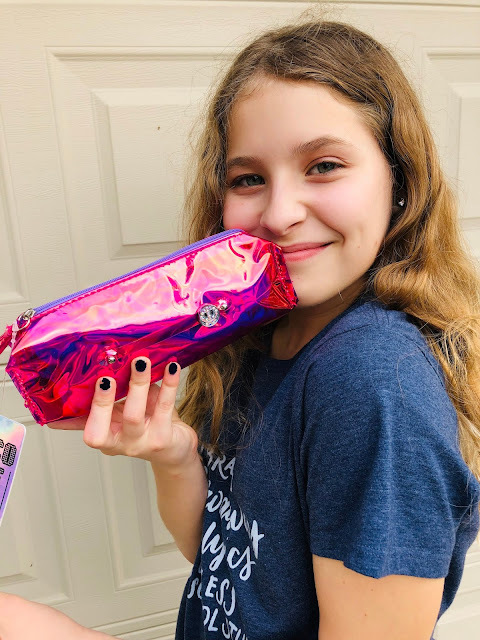 It's a monthly subscription box for tween girls. It's less than $30 and full of fabulous items. Even better? They are celebrating their one year anniversary! 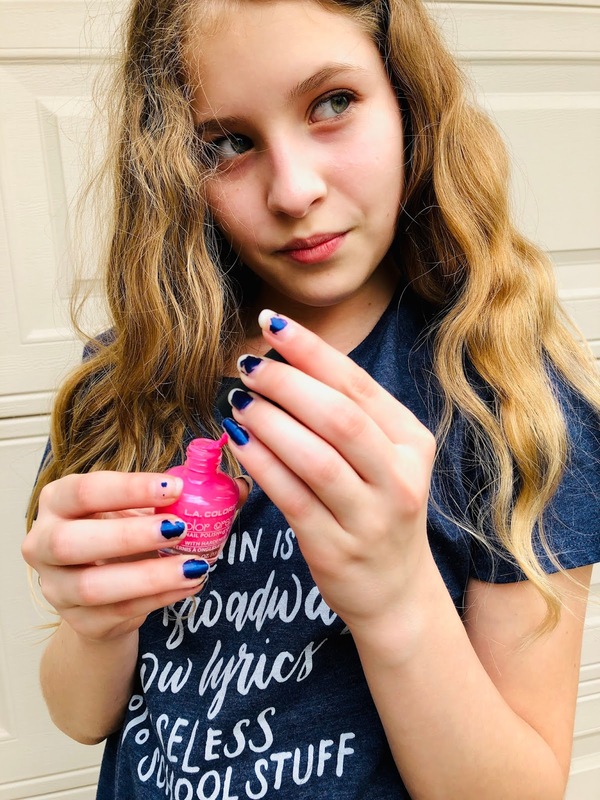 Natalie received the February "all pink" box and it's just as described: it was full of all things pink! The total value of the box is over $60. Let's dig in and see what she got! A pair of pink metallic sunglasses. 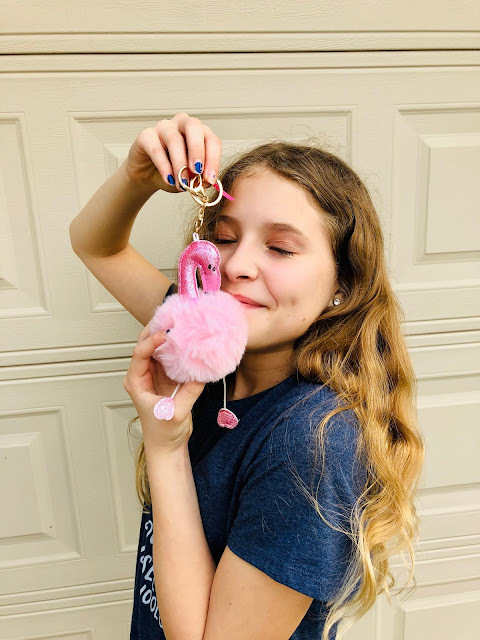 A glitter pink flamingo pom pom keychain. 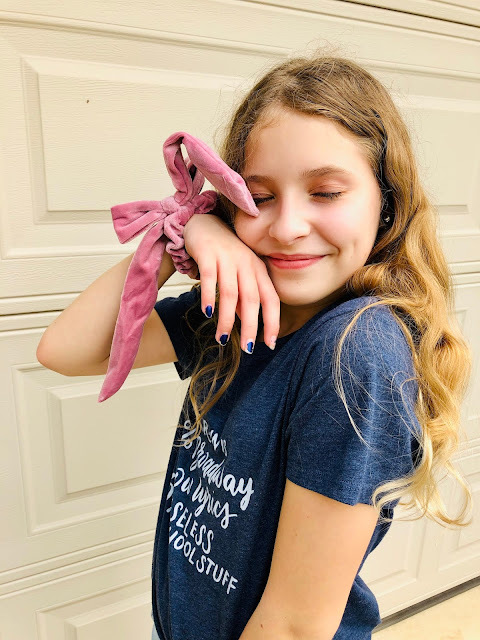 A pink velvet hair bow. She's going to use this when she's a dance class. LA Colors Pink Bubbles nail polish! As you can see from her nails, she's a big nail polish fan. Pink Magnetic Locker Mirror with Decals by Yoobi. She enjoys decorating her locker! 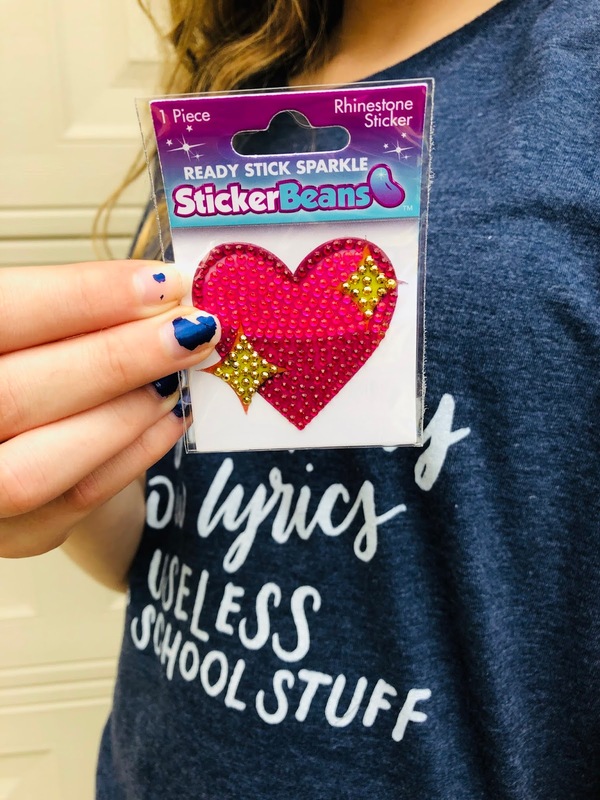 A pink sparkle Heart StickerBean. She's going to be putting this on her laptop. 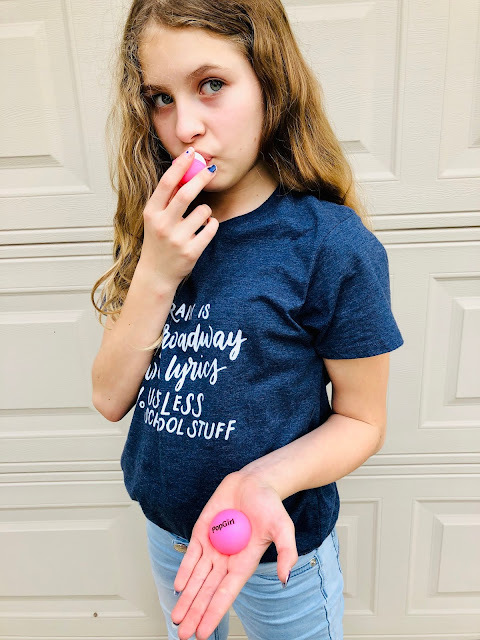 A Soft Lip Balm Ball, which comes in handy during the winter when lips get chapped. Finally, a pink iridescent jeweled case with sparkle charm my American Jewel. She put her art supplies in this! Hurry now and subscribe so you can get the March "Sweet Spring" box. You can subscribe here. 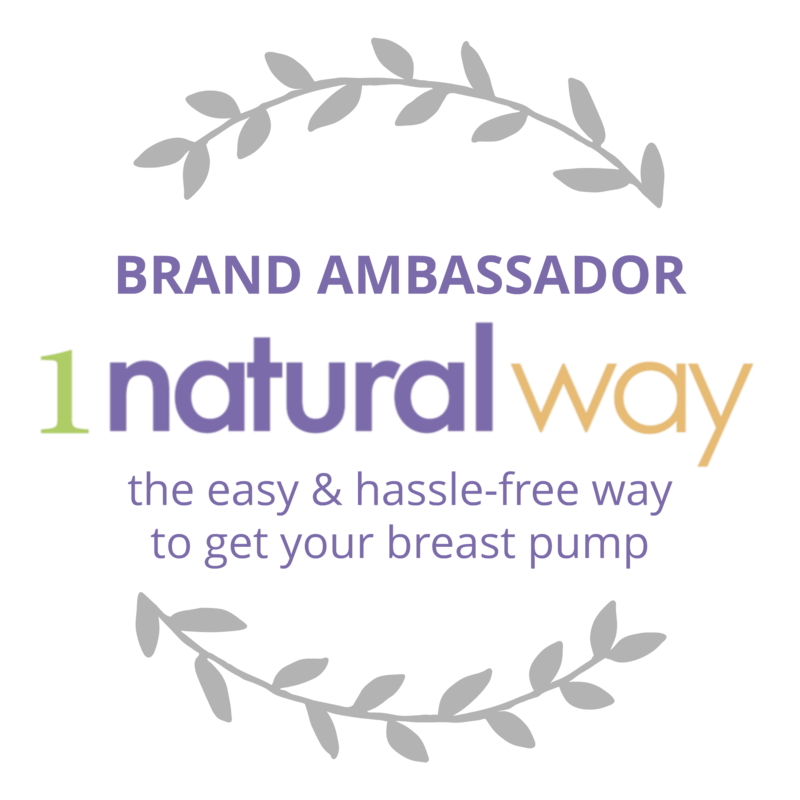 Use the code NATALIE for $5 off! If you follow the Pop Girl Box Instagram account, you can enter to WIN this Pink Box! To learn more about Pop Girl Box, you can discover them on Instagram, Facebook, Pinterest, and the Pop Girl website. 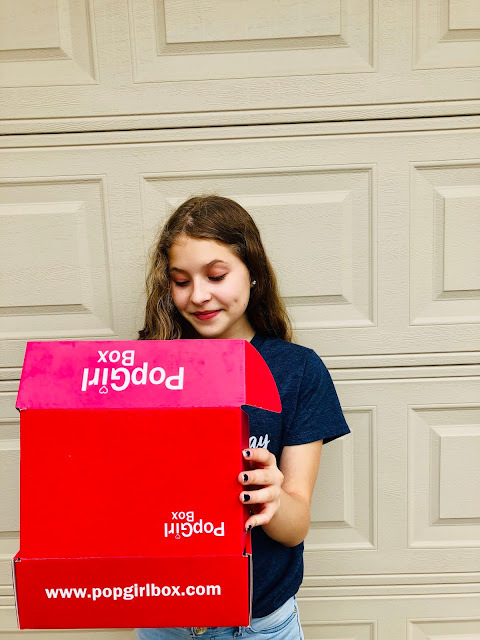 What was your favorite thing in the Pop Girl Box? I didn’t know there was something like a pop box. My daughter is only 3 now maybe sometime in tbe future this could be us. Look at all the cool stuff in there. This is a really neat box of goodies for young ladies. If my daughter sees this she will go crazy. She loves things like this but I might steal a few things out of the box if I get it. This would be a fun idea for any girl. It would just be fun to get a box every month you could open and have all sorts of fun things inside. It looks like your daughter really enjoys this. 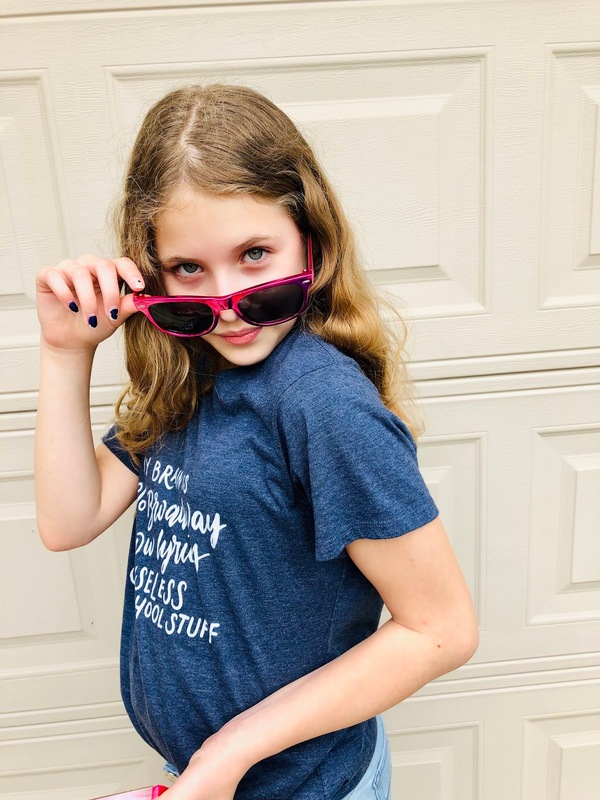 I think your daughter is a natural, when it comes to product demos! These items in this box are perfect for any girl who wants to be pampered or have a little fun. All of those things looks like it is just what your daughter would love to have and enjoy. Bet it is so much fun opening a new box every month. I love subscription boxes and this one looks like a great one for growing girls. It looks like you get a lot of stuff for your money. I didn't know about this box, what are the recommended ages? My daughter would have loved this box and all the items inside coming in pink which is her favorite color. I love this! My niece is fast approaching the “difficult to get gifts for” age and this would be a perfect gift! Thank you for the idea!!! All the items at the box is so cool to have. I bet your daughter was so thrilled when she receives it. This is a great gift very girly. This is such a fun box! Every time you post about it, I want to go and get one for my daughter. Well, I am in love with that box, too! How fun! I'm about to start subscribing to that box for me. Now this looks like a fun box for girls! I love all of the pink and red goodies!! My daughter would have loved getting a box like that when she was your daughter's age. I think she would have really enjoyed the lip balm and fun mirror! Oh Natalie! The girl must be feeling so excited with her unboxing; the colors also jus compliment her. Anyway, that keychain has to be my favorite. This is definitely a cool idea for tween girls. I wonder if there is one for teenage girls? My daughter now dislikes pink and is now more into purples and blues. This has all super cute and lovely stuff. I like that majority of it is in pink that makes it more girly. What a box to have. Those are all cute! The flamingo key chain would be my daughter's first pick if receiving this box. Looks like she's having so much fun. That box would be perfect for my niece, no doubt. I've been amazed how these subscription box services have really taken off. They may be around longer than a fad. This one seems great for tweens and teens. Those look like delightful boxes for tween girls. My duaghter wouldlove all that stuff, but not all the pink! LOL would have to come in another color! Everything in the box is cute and looks so nice! the perfect box for teenagegirl! Oh this is so cute! I bet my 9yo niece would really dig it. She loves surprises! This is such a cute concept! All pink too! So cute! 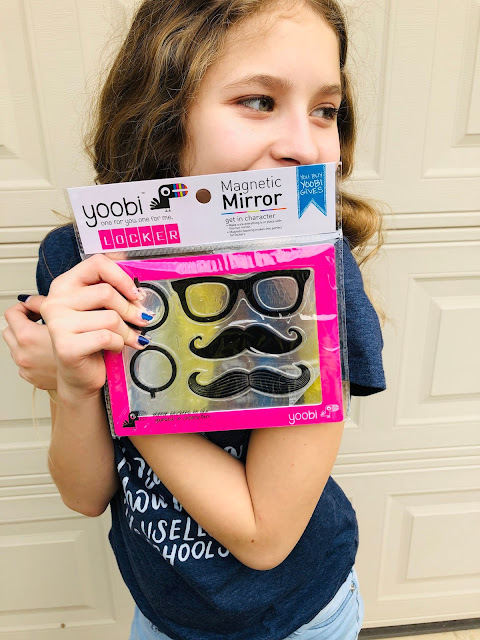 This is great and I love that box perfect for giveaways this Feb. 14 for kids. Oh, would you look a that! Those are some fabulous goodie over there. And what beautiful pictures! So cute! This will definitely be a fun box for teen girls. The kid looks so happy with it.